This is your last chance to be part of the Word N Sound Open Mic Poetry League’s Top 5 who will do battle at this year’s International Poetry + Live Music Festival in October! Arrive early to sign up and keep an eye on this page for more info. See you there. This year Word N Sound marked Women’s Day with a special show at the Soweto Theatre. The fam was just as excited as we were and set Twitter alight in the run up to the day. Bring a body, bring a heart and come watch 6 poets earn your presence. It will be beautiful! ❤❤soweto theatre meets @WordNSound experience. It's not a rumour http://t.co/OaHeAfwiVf. @WordNSound Experience at the Soweto Theatre form 15:00. Free entry. Let the beat rock! And finally we were off, getting started with an open mic that gave us a taste of what Soweto-based poets were up to and gave the very many new faces in the audience a chance to hear what Word N Sound has been getting up to. @Nimah_angelaM Still can't get over your performance @Sowetotheatre @WordNSound.. Lord have mercy! Such beauty & grace wow!! The beauty and grace and clarity that is Naima at #WordnSound @sowetotheatres just brought the house down!! I think I'm in ♥. The stage was warm and welcoming and the audience was more than ready to hear from Mandi Poefficient Vundla, Myesha Jenkins, Conelius Jones, Vuyelwa Maluleke, Mutle Mothibe and Gratitude Fisher. "We've been trying to sneak the colour black into the rainbow." Cornelius Jones whaaaaaat????? #WordnSound #FIRE!!!! And of course, Planet Lindela did what they do best…absolutely killed the stage with their blazing performance. Soweto came through in a BIG way and showed so much love, it really was a humbling experience. 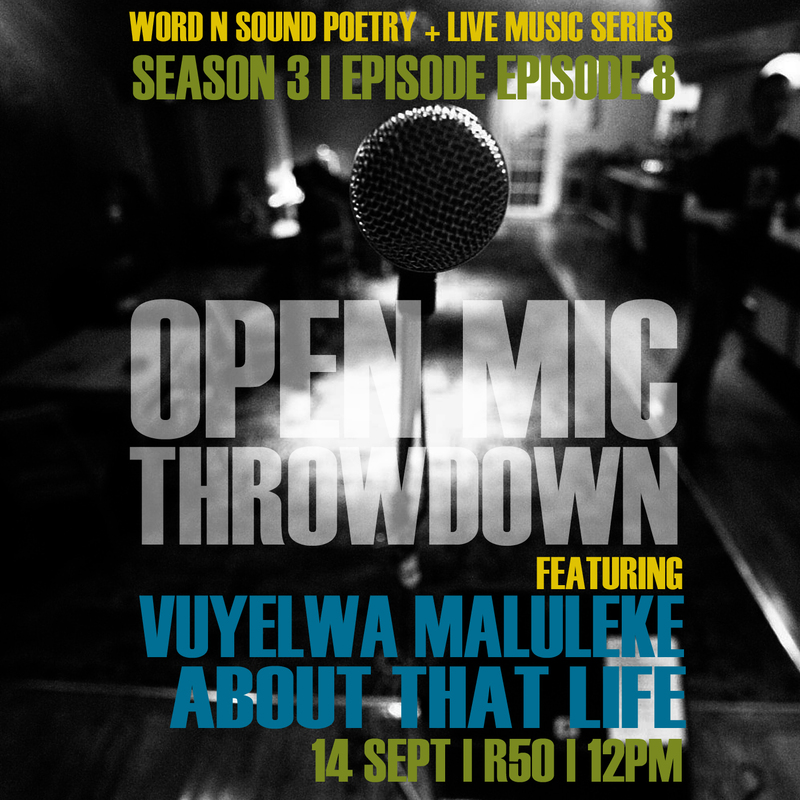 @WordNSound I hope this was the 1st of many. I'm still in awe by the talent. Beautiful doesn't even begin to describe it..